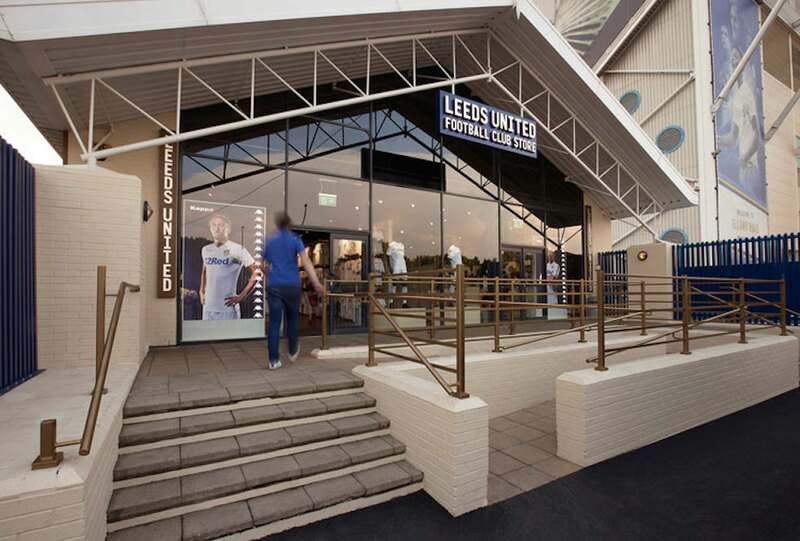 Leeds United Football Club has a new flagship store in its home city, located inside the Elland Road stadium, that includes a buzz-worthy feature: an LED post that displays shop offers. Another store has also been opened following a similar layout in the Leeds Trinity Shopping Centre. The design took inspiration from the city of Leeds itself: “It became a combination of Leeds’ history as a city and its grandeur and all these little brutalist details you find in the ground,” explained senior designer Jordan Ivey. The layout also encourages consumers to take a look at all of the merchandise the outlet has to offer by moving through the store and not going straight to the usual soccer kits. The unique goal post is set up in the store’s printing station, and doesn’t look out of the ordinary when its off, since the LEDs are actually hidden. Shop employees can program it to display almost anything from shop offers and order numbers, to team slogans. The strategy is to turn the team’s flagship store into a bonafide retail destination for thousands of fans.